it’s easy to use with a simple lever and swivel spout and spray head ensuring your sink and drainer area can be easily kept to a high standard of cleanliness. It’s made of solid brass with a quality look brushed steel finish. 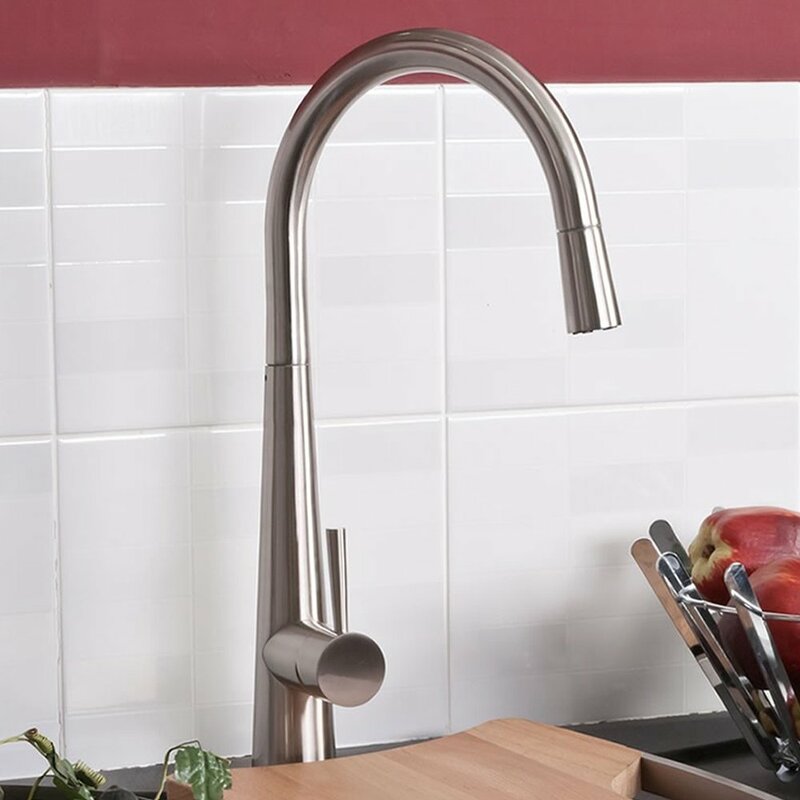 One of the questions you might have about this pull out tap is regarding its suitability for your kitchen’s water pressure. For best performance this pull out tap requires 1.0 bar pressure and at least 0.5 bar pressure. Click here to see which systems will be suitable. It comes with fixings and instructions. For more information or to buy now click here.